PODCAST: Caught In A Job Happiness Trap? 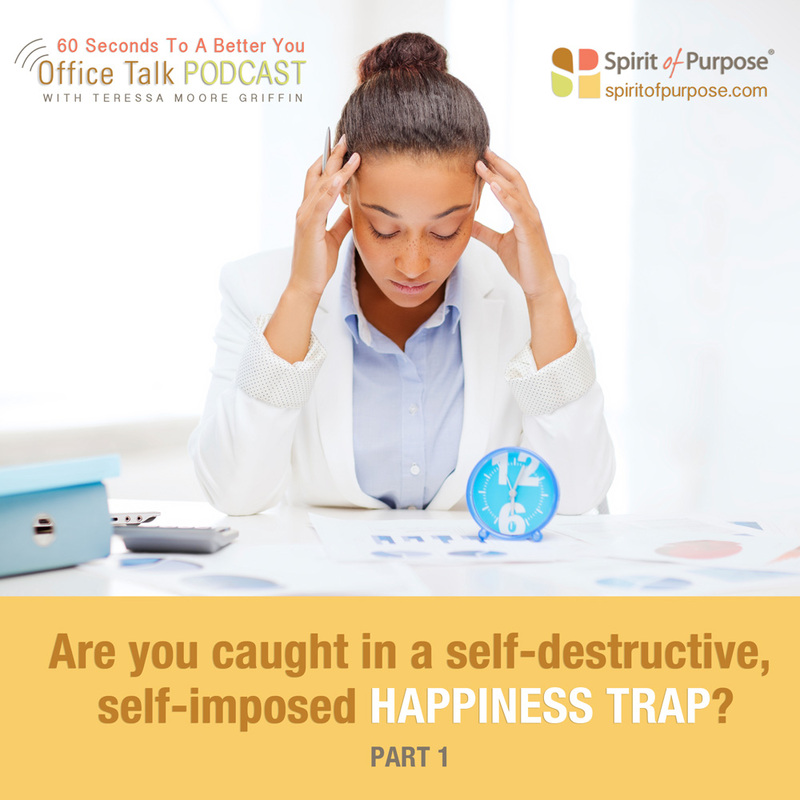 Author and Harvard Business Review contributor Annie McKee says that could be due to one of three “Happiness Traps,” which are destructive mindsets and ways of working that keep you stuck, unhappy and rob you of success. “The Ambition Trap” pushes you to do your best, but it becomes counter productive when oversized competitiveness and a need to win blinds you. It can lead to sacrificing personal and professional relationships, your ethics and your own happiness. Or you could be in “The Should Trap.” That’s when you single-mindedly focus on what others think you should do or be. Remember, pressure to conform appears to come from the outside when, in fact, it’s fed by your perception of expectations. Finally the “Overwork Trap” – a 21st century badge of honor. In the end, burnout will likely result in mistakes that are more costly than just taking the time to restore and connect with what really matters in your life. If you’re stuck in one of Harvard Business Review contributor Annie McKee’s “Happiness Traps,” there are ways to break free. The “Ambition Trap,” the “Should Trap” and the “Overwork Trap” can all be addressed using three components of emotional intelligence. Emotional self-awareness is the capacity to notice and understand your feelings and moods, and to recognize how they affect your thoughts and behaviors. Self-awareness allows you to detect whether you’ve fallen into a happiness trap because of organizational forces or your internal belief system. Emotional self-control, also called self-regulation, helps you tolerate the discomfort that comes when you attempt to shift unproductive patterns into more advantageous habits. Organizational awareness provides insight into how others may see you should you choose to step out of the norm and check messages less frequently or leave earlier.